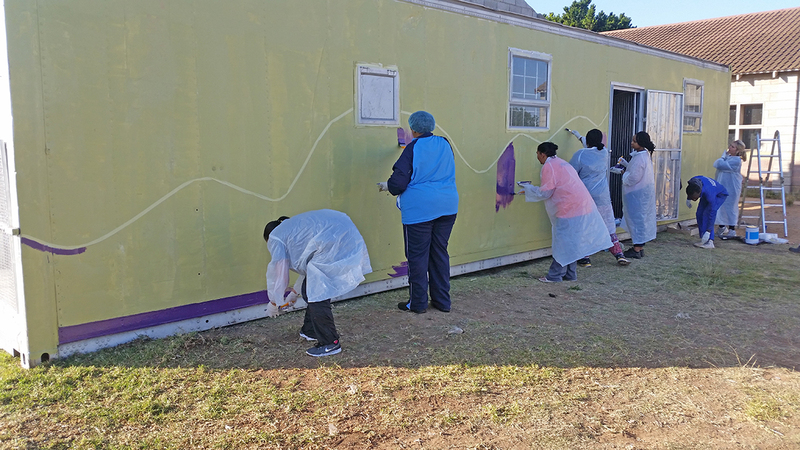 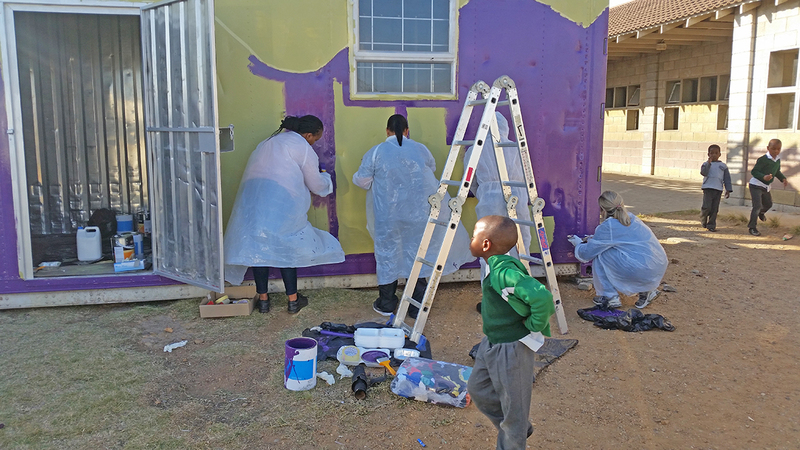 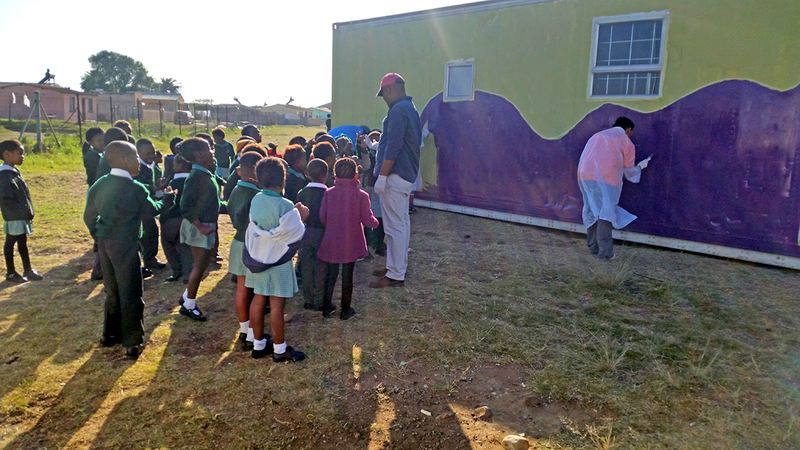 Volunteers from Mondelēz International in South Africa joined INMED South Africa last week to convert a shipping container into a new kitchen for the Aaron Ggadu School in Port Elizabeth. 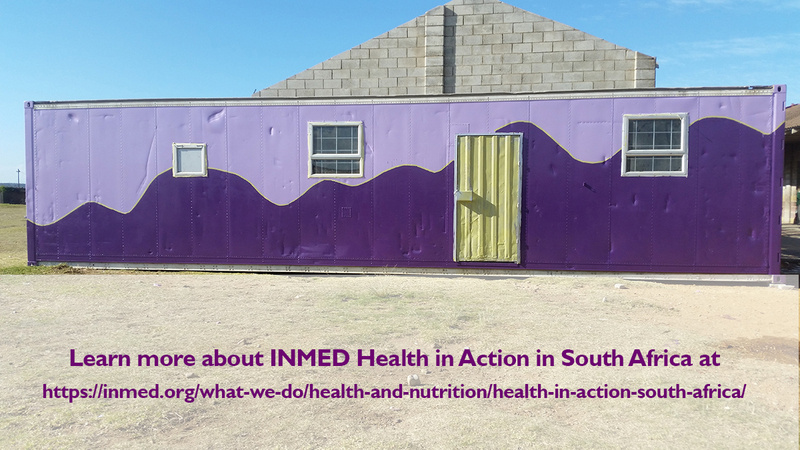 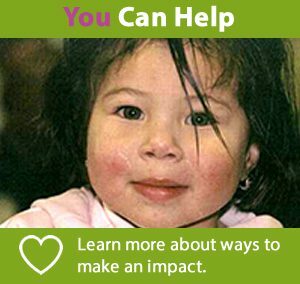 This INMED Health in Action school has been without a proper full-sized kitchen for several years due to a fire. 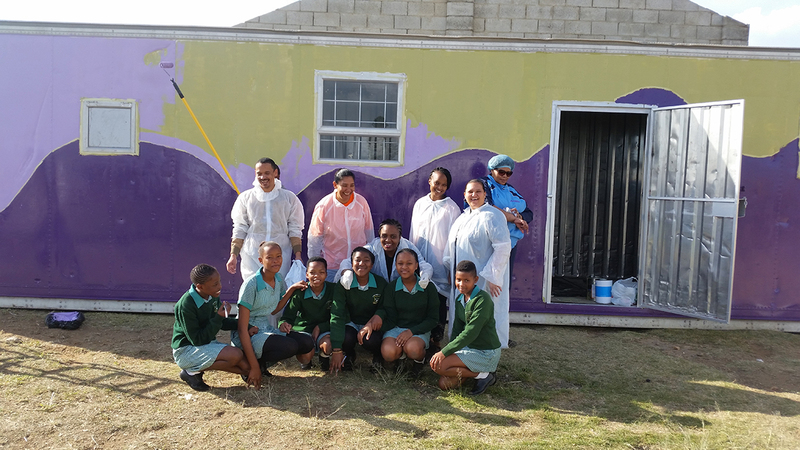 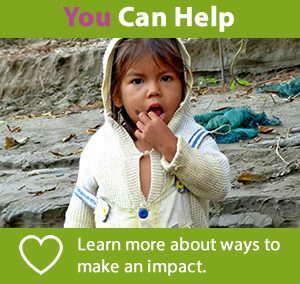 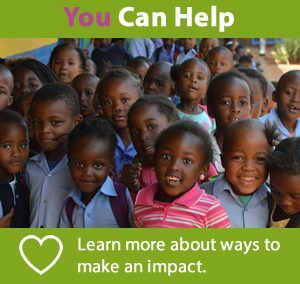 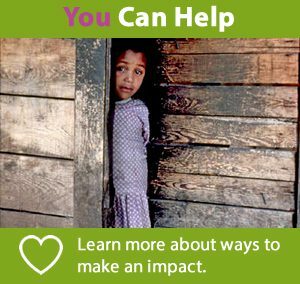 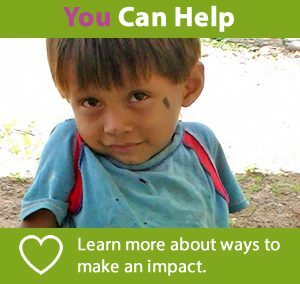 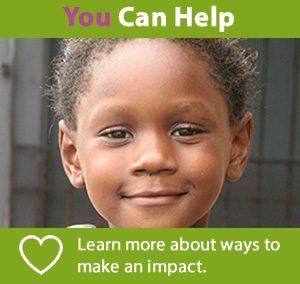 The school, which is located in an impoverished community, has been adopted by the Mondelēz employees for a variety of improvement projects. 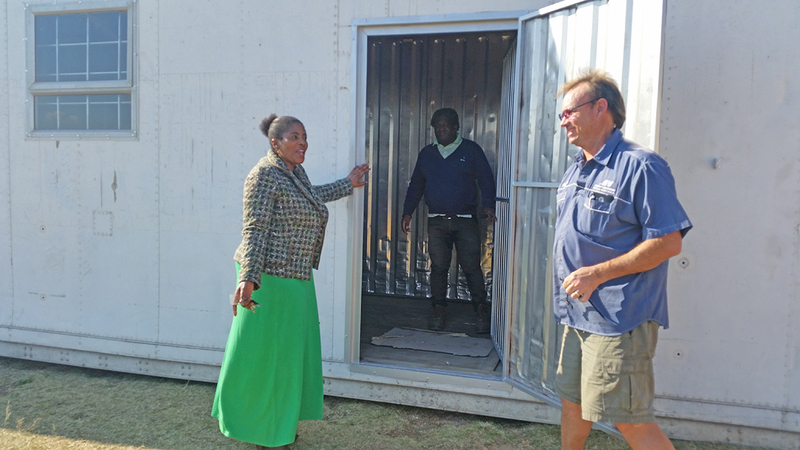 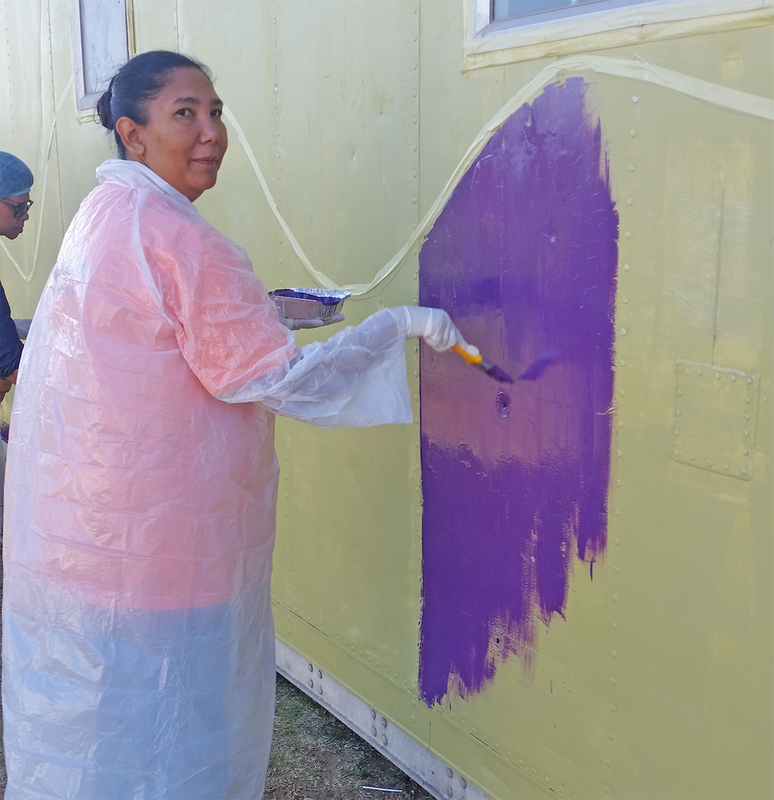 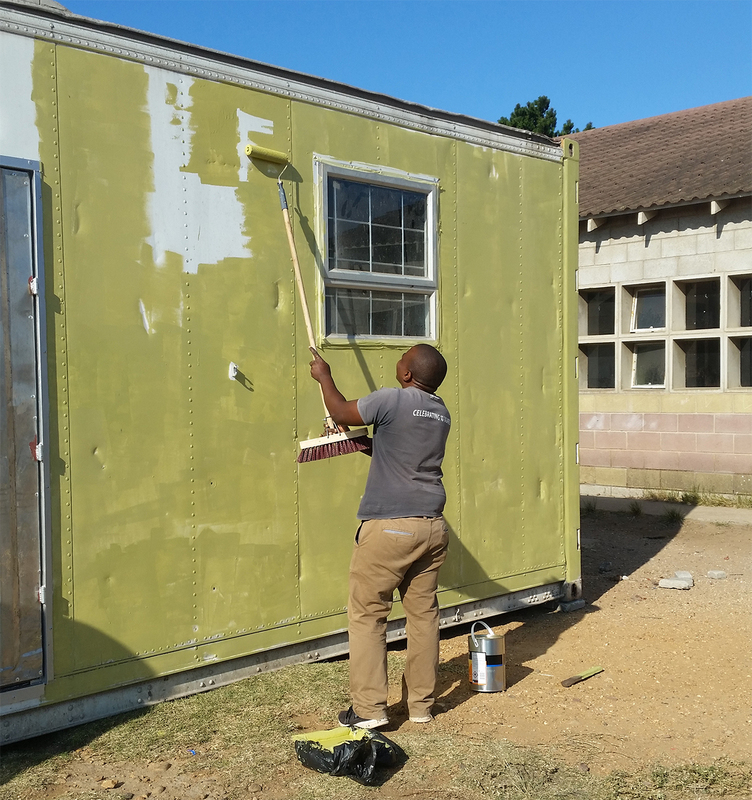 The container was donated by a Mondelēz employee and is being converted into a compliant school kitchen, complete with windows, security bars and gate, new flooring and food preparation areas. 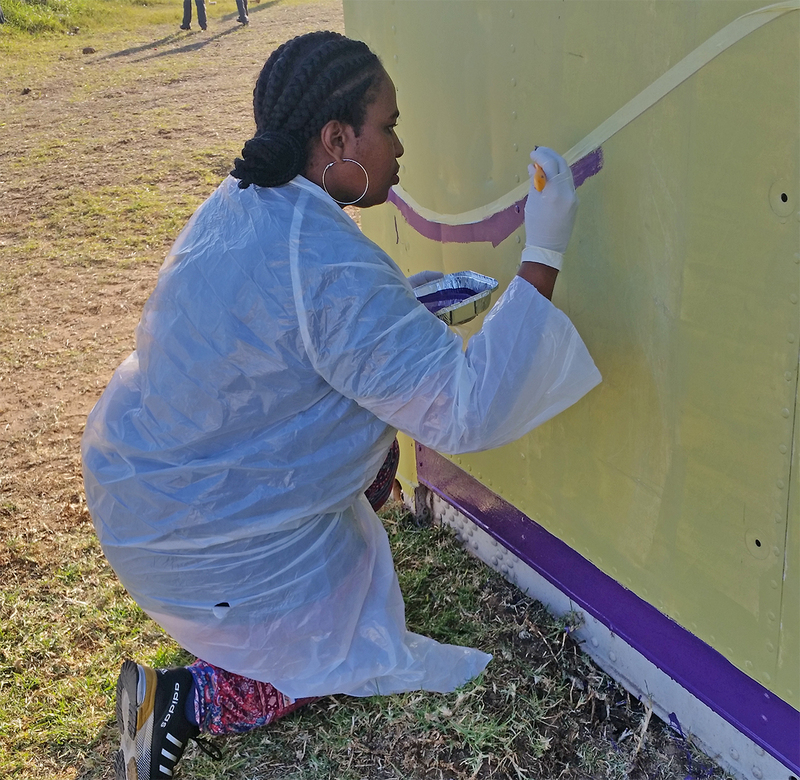 Last week, a team from Mondelēz painted a mountain mural on the exterior. 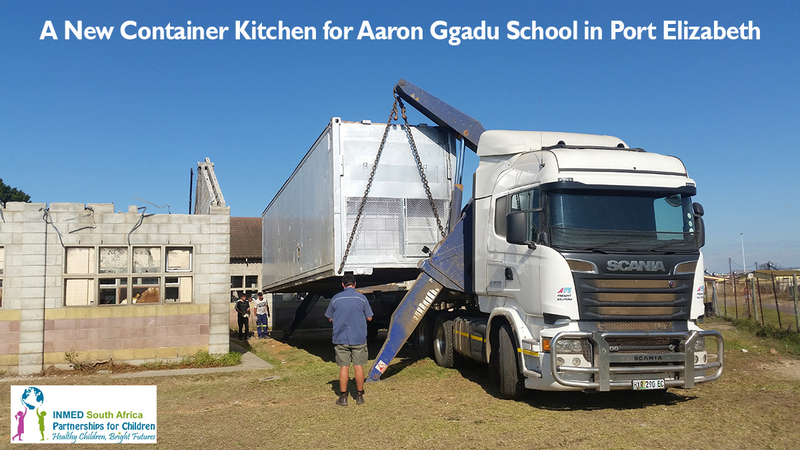 The kitchen should be up and running by mid-July.